Thanks to your feedback, Swimia has turn out to be in just several months one one of the most important sites of swimming pools. Here you have all the info we know about Asser Levy Recreation Center, in Manhattan. 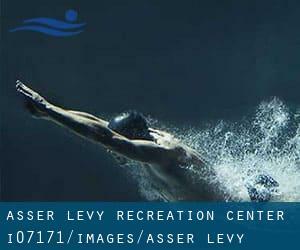 Don't neglect you can also promote this pool so Asser Levy Recreation Center will appear the very first of Manhattan, or even the first of your country, get in touch with us to know more. Swimmers like you reported 22 yards x 26 feet, 3 lanes, 8 feet depth, Indoors. Unfortunately we do not have the email address of this Swimming Pool, but we can provide you with the phone number. At E. 23rd St. and F.D.R. Drive. Updated on 2019 39 Whitehall Street , Financial District , New York , NY , USA (Postal Code: 10004). Among all the activities provided by the center, if you are interested in swimming you will enjoy 60 feet, 2 (wide) lanes, 3 feet - 5 feet depth, Indoors. If you need to contact this Swimming Pool, email address and phone number are both number. 430 West 25th Street (between 9th & 10th Avenue) , Chelsea , New York , NY , USA (Postal Code: 10001). Among all the activities offered by the center, for anybody who is interested in swimming you will enjoy 25 yards, 6 lanes, Indoors. Just in case you would like to contact this Swimming Pool before dropping by, we only know the phone number. Updated on 2019 75 West End Ave. , Upper West Side , New York , NY , USA (Postal Code: 10023). This sports center offers 70 feet x 25 feet, 4 lanes, 3.5 feet-5 feet depth, Indoors. For this Pool, only phone number is number here. 203 W. 58th Street , Columbus Circle , New York , NY , USA (Postal Code: 10019). This sports center offers An Endless Pools adjustable current pool, Indoors. For this Swimming Pool, only phone number is number here. 334 Amsterdam Ave. at 76th St. , Upper West Side , New York , NY , USA (Postal Code: 10023). Swimmers like you reported 25 meters, 5 lanes, Indoors. Unfortunately we do not have the e-mail address of this Pool, but we can provide you with the phone number. 344 E. 14th St. , New York , NY , USA (Postal Code: 10003). Among all the activities offered by the center, if you're keen on swimming you'll appreciate 20 yards x 25 feet, 4 lanes, Indoors. If it is advisable to contact this Swimming Pool, email address and phone number are both number. Updated on 2019 1 Central Park West , Columbus Circle , New York , NY , USA (Postal Code: 10019). This sports center gives 55 feet, 2 lanes, Indoors. For this Swimming Pool, only phone number is number here. Updated on 2019 181 Mercer St. , Greenwich Village , New York , NY , USA (Postal Code: 10012). This sports center gives 25 meters x 45 feet, 6 lanes, Indoors. For this Swimming Pool, only phone number is number here. 533 W. 59th St. , Hell´s Kitchen / Columbus Circle , New York , NY , USA (Postal Code: 10019). Among all the activities supplied by the center, if you are interested in swimming you will enjoy 20 yards x 35 feet, 4 lanes, 8 feet depth, Indoors. Just in case you want to contact this Swimming Pool before dropping by, we only know the phone number. 899 - 10th Ave. , Midtown , New York , NY , USA (Postal Code: 10019). Swimmers like you reported 25 yards, 5 lanes, Indoors. Unfortunately we do not have the e-mail address of this Pool, but we can provide you with the phone number.